Let’s kick off this year’s “Halloween Havoc” with the Grandaddy of kaiju eiga, GODZILLA, KING OF THE MONSTERS. The Big G first hit Japanese movie screens in 1954, and made its way to American shores two years later in a reedited version with new narrative footage. I’ve only seen the Americanized interpretation, so I can’t comment on Inoshiro Honda’s original vision, but I do enjoy this film a lot more than the endless, silly sequels that ensued. 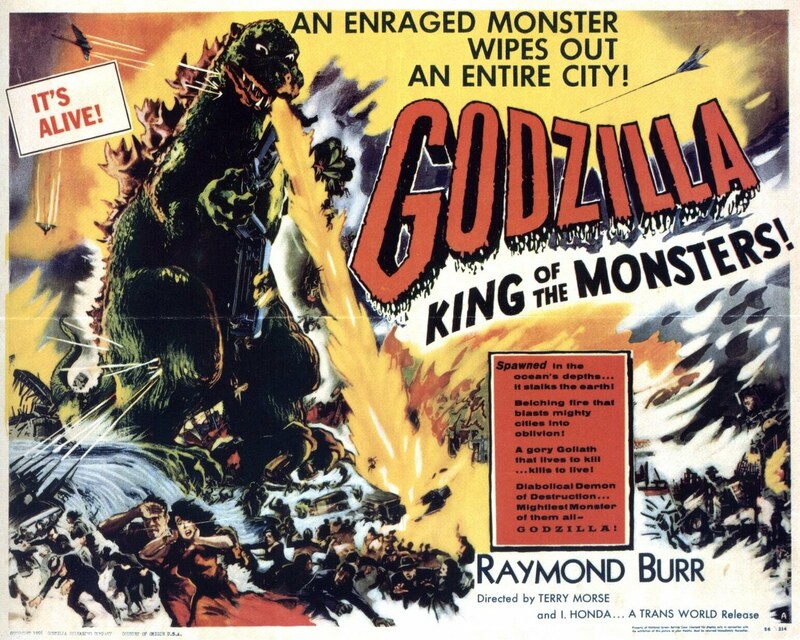 I’d go as far as saying GODZILLA, KING OF THE MONSTERS is one of the best sci-fi flicks of the 50’s, one that’s influence looms like Big G’s shadow even today. We start with a familiar sight: Tokyo in ruins, “a smoldering memorial to the unknown”! 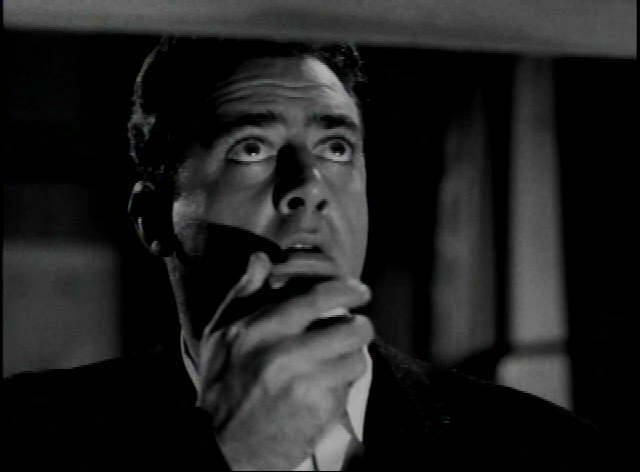 American reporter Steve Martin (played by Raymond Burr, not the “wild and crazy guy” comic) is trapped under debris from the chaos unleashed, and narrates the tale for us. Martin’s learned that eight ships have been destroyed recently, caused by “a blinding flash of light, the ocean burst into flame”. Represntitives of the military and science community have a conference, and Dr. Yemane leads a team to Odo Island, where the natives claim they’ve seen a monster known to them as Godzilla. The Big G makes an impressive screen debut: he’s (she’s?) 400 feet tall, a fire-breathing land/sea Jurassic hybrid bent on destruction. 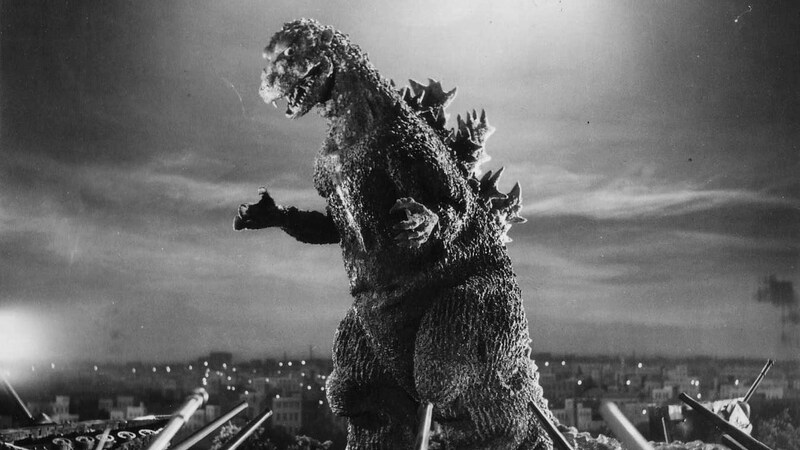 Nuclear testing is to blame for Godzilla’s resurrection, and depth bombs can’t stop. Soon the monster heads to the mainland for more devastation. Godzilla attacks as the panic-stricken populace evacuates Tokyo. 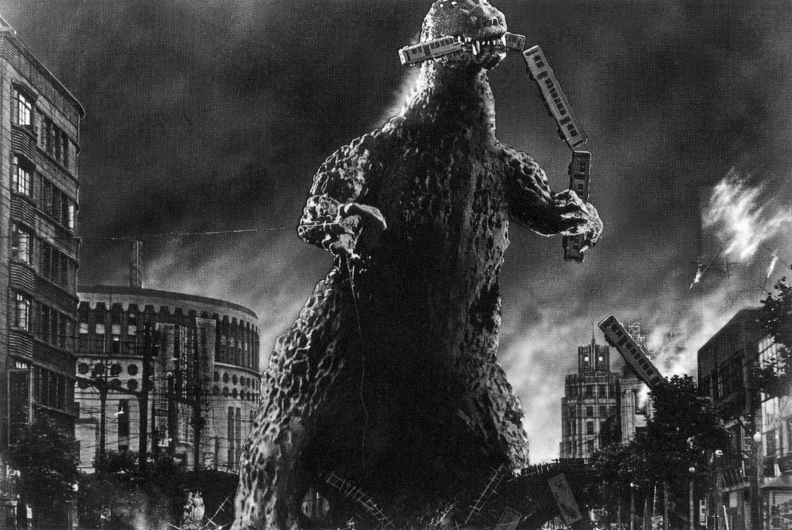 The Army rigs the city’s electrical high-tension wires to stop the beast, but even 300,000 volts can’t contain Godzilla! The monster wreaks havoc, melting towers with it’s flame breath, turning “the heart of Tokyo into a sea of fire”! The carnage continues until scientist Serizawa, involved in a love triangle with Yemane’s daughter Emiko and ship captain Ogata, gives in and uses his new Oxygen Destroyer weapon to kill the beast at sea, sacrificing his life in the process so Tokyo may rise again. Inoshira Honda’s footage looks much better than the film shot in America under Terry Morse’s direction. They give it a good try, using actors with their backs to the camera to meet with Burr, but Honda’s darker vision just doesn’t quite match the more pedestrian American scenes. Even with this quibble, the movie kept me enthralled, though I’ve just got to see the original Japanese version one of these days. The Big G himself (herself?) is much scarier than in the subsequent sequels. There’s no “wrestling match” style monster battles here, just good old fashioned destruction as Godzilla rampages on Tokyo. The monster isn’t overused, and the rubber suit special effects are shot to good advantage, with Masao Tamai’s black and white cinematography ideal for the movie. GODZILLA spawned a slew of imitators (THE GIANT BEHEMOTH, GORGO, REPTILICUS) , but the original Big G is head and shoulders above the rest. Oh my god! You’re speaking my language! I LOVE Gojira! So I’ve seen a the original with subtitles. It’s actually a pretty serious film. The ‘fallout’ from the atomic bomb is responsible for the emergence of this monster. It’s Japan’s subtle response to the attacks on Hiroshima and Nagasaki. Tremendous film. After this they get progressively sillier… but still I love them! Thanks Gary! Previous PostPrevious Don’t be afraid! HALLOWEEN HAVOC! is returning! !